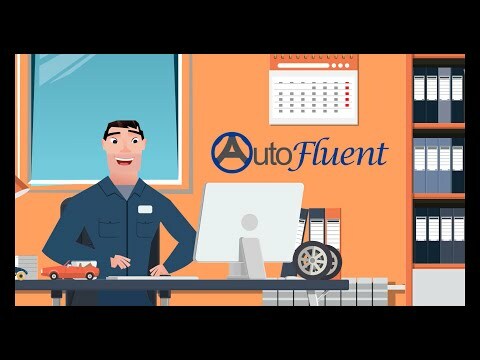 AutoFluent is an automotive repair management solution by TABS intended for use by any single-user shop or multi-store vendor handling part sales, tire sales, and auto servicing. Optimally configured for the USA & Canada market, this automotive business management software uses an integrated portfolio of tools for managing sales, workforce, inventory, customer activity tracking, accounting and invoicing, and multi-store data sharing. AutoFluent automotive business management platform’s core features include sales management, which allows shops and warehouses to create and track varied services, manage contacts, work orders and status reports. It also supports barcode scanning of inventory and VINs (vehicle identification numbers). With multi-location management features, AutoFluent enables owners of multiple shops to view, transfer, and manage inventory across multiple locations. AutoFluent also enables users to import data from their older software like DOS and Unix software into advanced web shopping carts and accounting software. It also provides support for customizable templates for email marketing and tools to manage business’ complete invoicing and reporting needs. Excellent Product!! Astute & Excellent employees who exemplify great patience, kindness & passion. Just the improvements that Chris and I went over. There may be more as I go along with the training. For example, a Tabs Field Option of the company website and the company email address. The vehicle inspection screen could use some editing in the pre-existing fields. Thank you. Best regards, Lowell R. Gelin Lead Auto Service Technician On Call Mechanics, Inc. (Office) (954) 548-7884 (Fax) (888) 740-9862 ocmechanics@gmail.com www.oncallmechanics.comIt is rare that I run into employees of a business that literally LOVE what they do. I can hear the passion in the voice of all 3 support technicians, (Troy, Chris and Shawn). I expressed this to all three of them as well as George Sein. I was so impressed with their character & the tonality of the calls (on a consistent basis mind you) that I asked about the process that was put into place that allowed for such good human beings to be in a work place. The support side of this business can be quite challenging and I received not 1 sign of frustration from either of the 4 (four) people that I mentioned earlier. It is with great pleasure to speak to them as I feel that I developed a friendship with all 4 of them already. This is a great feeling to have with a company as it establishes an undying loyalty to the establishment. Please continue the excellent work ethic & service that is exuded by your employees. I am not easily impressed but I must say that I was greatly impressed. It is rare that I run into employees of a business that literally LOVE what they do. I can hear the passion in the voice of all 3 support technicians, (Troy, Chris and Shawn). I expressed this to all three of them as well as George Sein. I was so impressed with their character & the tonality of the calls (on a consistent basis mind you) that I asked about the process that was put into place that allowed for such good human beings to be in a work place. The support side of this business can be quite challenging and I received not 1 sign of frustration from either of the 4 (four) people that I mentioned earlier. It is with great pleasure to speak to them as I feel that I developed a friendship with all 4 of them already. This is a great feeling to have with a company as it establishes an undying loyalty to the establishment. Please continue the excellent work ethic & service that is exuded by your employees. I am not easily impressed but I must say that I was greatly impressed. If I had to say that there were any cons, I would say that your establishment closes too early. LOL. I only say this because I experienced a few selfish moments when I wanted the software readily available. (I had a strong egoistic & selfish moment there). In speaking with Chris, we found a couple of areas that could use some additions to the work order as the product is already near perfect. Another part of this establishment that is extremely impressive. Especially the cost when compared to R.O. Writer's $15,000 package deal (are they insane?) I was so impressed that I have to add more pros than cons in this section even though this is the con portion of the evaluation. I referred 4 more people to obtain this software as it is (as I stated earlier) near perfect. Plus, you cannot beat the price. It's very affordable. I mean this sincerely, please keep up the EXCELLENT WORK as well as the software improvements. I can go on & on, but I think you can see my perspective. Totally satisfied with the software and support and its help us manage and grow our business. Great product just like anything you will have to learn how to use it but it's worth the time invested. It's a very reliable software and always works, we like how the Carfax function works and auto populates the Vin and all of the vehicles information this function is very helpful. The work order screen is very friendly allows you to do multiple functions without having to switch screens. We like the email and text function for easy communication with our customers. We also enjoy the one click service packages that really save time when writing your work orders. The reporting side of the software is very good and they continue to add new reports overtime. We research many different POS systems and by far for the price we felt Autofluent offered the best value for the price. We also appreciate the high level of customer support whenever we have a question. If there was anything it would be that the system setting tabs in the set up menu area are not expandable at least on our end. Hopefully thats not an issue on our end? Other than that not much to complain about with the software. Thank you for taking the time to write this great review. We're happy to hear you appreciate the software and support! Simple, Detailed, and Very Efficient! Best Invoicing System Available! By using this software we were able to finally reap the rewards from owning a business. Prior we didn't know what was being spent and where our income was being wasted away, and had theft occur regularly. With AutoFluent it tracks every penny spent on each vehicle, its take home, but also if someone voids an invoice you'll know about it. It has saved us so much headaches. I also love the fact that at the end of the day I just click print and track each customer that came in, what was done with their vehicle. This software is worth every penny.System has helped us manage our shop so much. We're finally navigating our business correctly and are able to track every penny with each invoice. Customer support is like my right hand, I call anytime for questions or help and they're always going the extra mile. System is simple, yet detailed, and LITERALLY the best investment you'll ever make. I don't give credit unless its earned, but they have earned it.. and then some. System has helped us manage our shop so much. We're finally navigating our business correctly and are able to track every penny with each invoice. Customer support is like my right hand, I call anytime for questions or help and they're always going the extra mile. System is simple, yet detailed, and LITERALLY the best investment you'll ever make. I don't give credit unless its earned, but they have earned it.. and then some. Thank you so much, Pamela! We appreciate you, too! We starting using AutoFluent about 6 months ago and have been very pleased. Pros: 1. The program does everything we need it to. We run data reports each week to track expenses/parts/labor etc. and the reporting 2. The training is great. The team at AutoFluent walks you through the set up process with as many training sessions as you need. They are available to help with problems that you encounter even after the initial set up. 3. I appreciated setting up the program myself, rather than having them set up the entire thing. I know the in and outs of the program better because of it. On that note, they were able to help me set up some of the aspects of it if I couldn't do it through remote support. This was extremely helpful and I was able to watch them do it. 4. We used Quickbooks for accounting and AutoFluent works very well with this as far sales are concerned. We post to Quickbooks daily and once it is set up properly, it works great. The support team at AutoFluent was able to help me set this up, as it was one of the things that I had a little trouble with. 5. There are many reporting options and so far, there was been a report for everything I have needed. Cons: 1. Some of the changes that are made can not change information retroactively. This is needed sometimes as adjustments are made to the program overtime. 2. Some information on the invoices can not be changed once it is put on account or paid for. 3. The template for the invoice can not be completely customized. 4. I don't like vendor bill paying option and how it works. I opted to continue to use Quickbooks for my vendor receipts and to pay bills through Quickbooks still. I do all of the accounting for our business and Quickbooks works better for me because of this. AutoFluent will post the vendor bills to Quickbooks, but only if the work order is invoiced out. Because of the method of reconciling that I use, it is hard to reconcile a vendor account for a period of time. I don't know if a transaction was missed on my end of things or if it just hasn't posted yet because the vehicle is still in work order status. Therefore, I do what works for me and continue to use Quickbooks for this. we are a growing business and find the help and support techs amazing at sorting out our issues. Love on line chat!!!!! best thing out there. Software is easy to use and to teach to new people. The variety of reports are very helpful to bookkeeping. Entering parts into the system is simple. Tracking is a huge asset to us with inventory and mechanic hours, sales, discounts and aging customers. this system is very user friendly. When running reports it would be nice if you didnt have to start over to modify the customer name. It would be nice if it would total the open work order amounts at the bottom or if you could run a report of open work orders at month end. We are glad we could share the information you needed about the Transaction by Date/Vehicle report with Workorder selected. Thank you for being our customer and for taking the time to write a great review, Susanne! • AutoFluent software facilitates the management of employees, customers, suppliers, inventory and sales from one location. • AutoFluent’s customer tracking feature aids in finding customers by name, phone, address, vehicle, invoice number, or by swiping a card. • Integrates with QuickBooks, Sage 50 (US & Canada), Simply Accounting, as well as major parts databases. • AutoFluent enables users to view customer histories across different locations, and accepts payments from any location. • Compatible with the invoicing needs of several US states and supports Canadian PST, GST, and HST taxes. Below are some frequently asked questions for AutoFluent. Q. What type of pricing plans does AutoFluent offer? Q. Who are the typical users of AutoFluent? Q. What languages does AutoFluent support? Q. Does AutoFluent support mobile devices? Q. Does AutoFluent offer an API? No, AutoFluent does not have an API available. Q. What other apps does AutoFluent integrate with? Q. What level of support does AutoFluent offer?